Last Holy Week, we spent quiet time for three days at Aurum One hotel in Makati. It’s a new and simple hotel. They serve breakfast only so we have to go out for lunch and dinner. On our second day, hubby wanted to watch a TV series called Arrow and don’t want to go out anymore. So I decided to order our food on a Holy Thursday. We have to check though which restaurants were open since it was holiday. Along Evangelista, we found few restaurants like Jollibee, Mang Inasal, Family Mart which is just located at the ground floor of the hotel. We had Jollibee meal on our first night. The next day, we’re already looking for other restaurants. 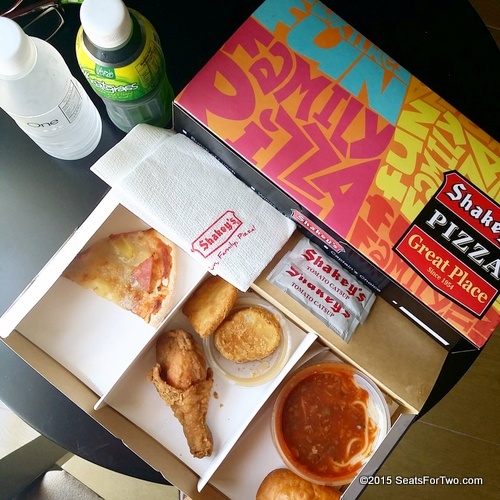 SeatsForTwo was glad Shakey’s Philippines has select stores open 24 hours and during holidays. Placing an order was such a breeze by logging on to www.shakeysdelivery.ph on PC. Second is dialing 77-777. The latest using the new Shakey’s app downloadable on Google Play and App Store. With Shakey’s Supercard, we always get discount and entitled to promos like buy 1 take 1 on pizzas, free pizza on cardholder’s birthday month. We always go for our favorite Bunch of Lunch complete with a slice of pizza, pasta, chicken and mojos. On school days, I ran out of baon ideas for hubby who’s working in a local college. 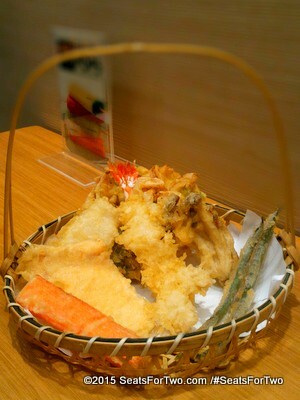 Many times, I thought of surprising him with a hefty lunch meal from his favorite restaurant. It would not hurt since placing an order is just a click away. 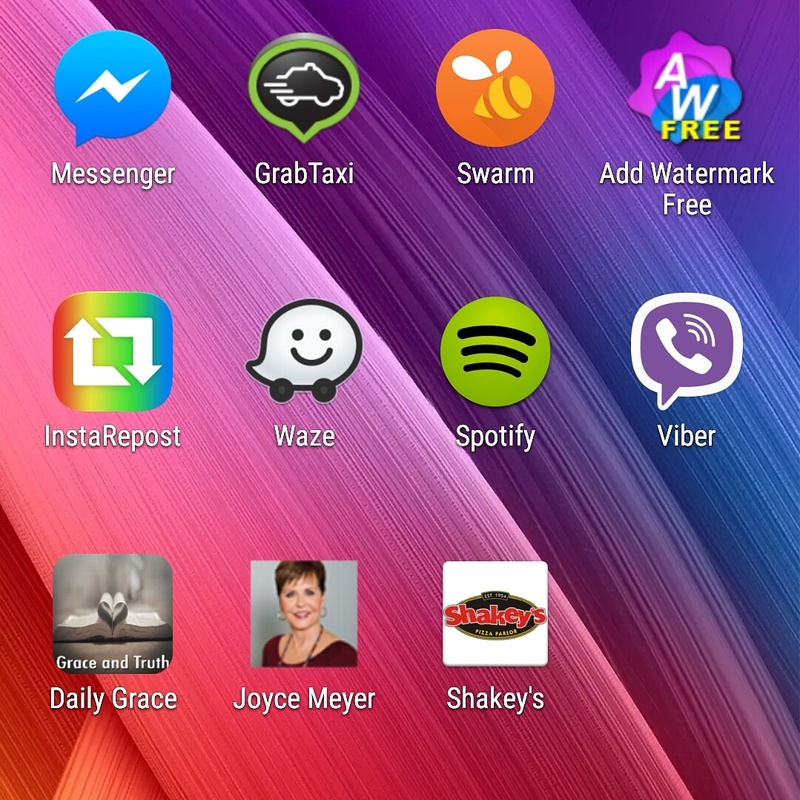 Shakey’s made it more easier and convenient with the Shakey’s Time Mobile App. 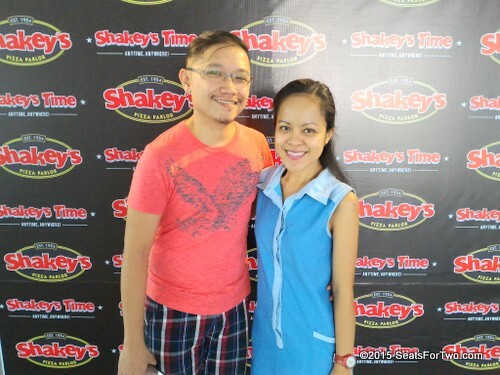 Experience Shakey’s Time, anytime, anywhere and start creating good memories with your loved ones. 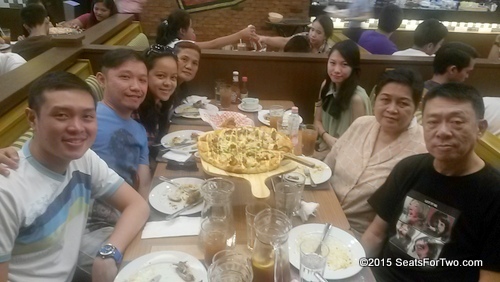 This Father’s Day why not send dad a Manager’s Choice Pizza, a basket of chicken and mojos using Shakey’s Mobile App.